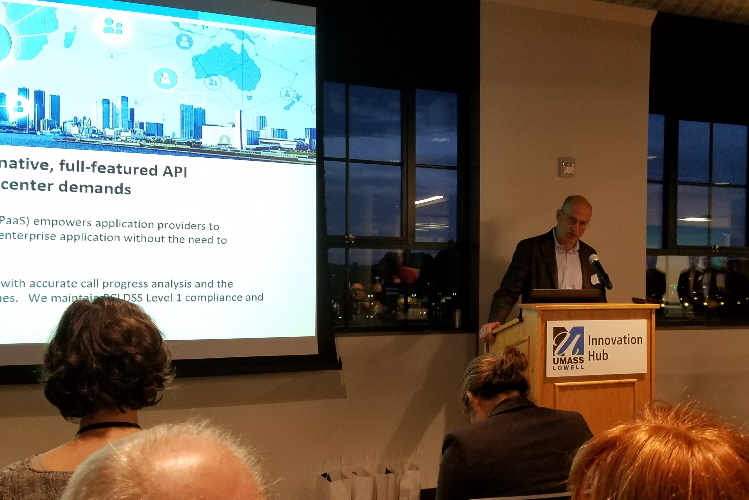 On Thursday, April 11th, Mass Innovation Nights returned to the UMass Lowell Innovation Hub, fourteen months after its previous visit to this location; you can read my summary of that event, Mass Innovation Nights 107, by clicking here. 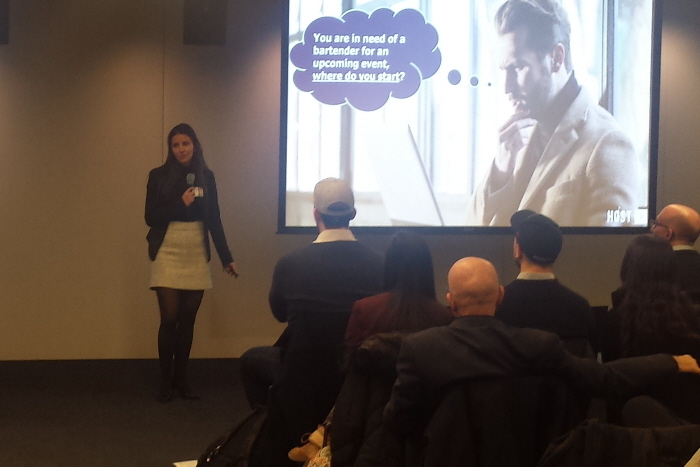 Every month, Mass Innovation Nights features startups from around Massachusetts. On this particular night, the theme was Internet of Things, Robotics, and Artificial Intelligence. I always enjoy Mass Innovation Nights’ events, and this one was a little special. It was Mass Inno’s 10th anniversary event. (Do the math: Month 121 is 10 years after Month 1.) So, at the end of the night, this month’s MIN included cake. Mass Innovation Nights begins with networking and food – tonight, pizza – during the opening hour, during which attendees also chat with exhibiting startups to learn more about them. During this first hour, attendees each cast one vote for their favorite showcasing company; the top four vote-getters, who are announced after the presentations, receive prizes. 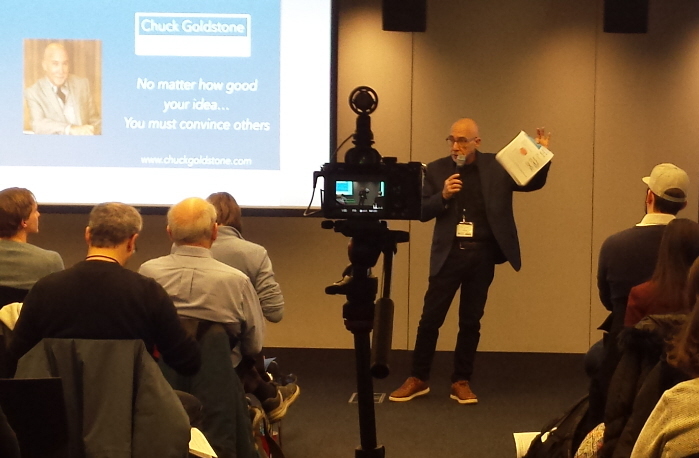 After the networking/voting ends, the presentations begin, featuring the four companies that received the most votes in pre-event voting on the Mass Innovation Nights website. So, after a brief welcome and quick introductions to sponsors and Mass Innovation Nights “Expert Corner” experts, the four presenting startups take the stage. This evening’s “experts” were Tom O’Donnell, representing the UMass Lowell Innovation Hub; Andrew Shapiro, the City of Lowell’s Director of Economic Development; and Nick Bliamptis, founder and CEO of Facet Executive Search. The presenting startups were Armored Things, WritingAssistant, Awayr, and Fonative. 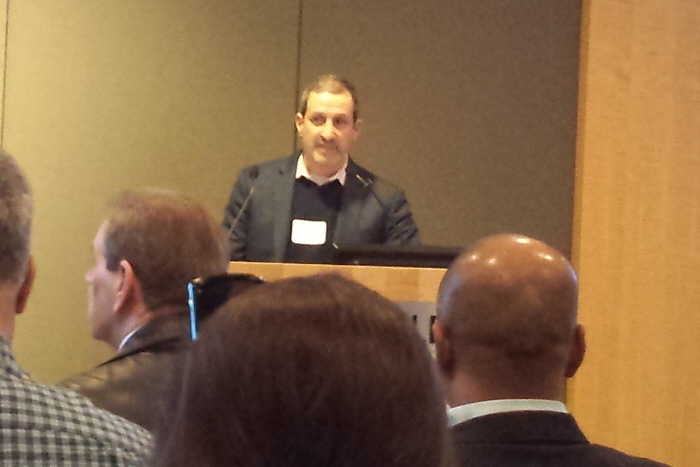 At-event voting winners were Operation250, Nonspec, Tertill, and CAIDE Systems. 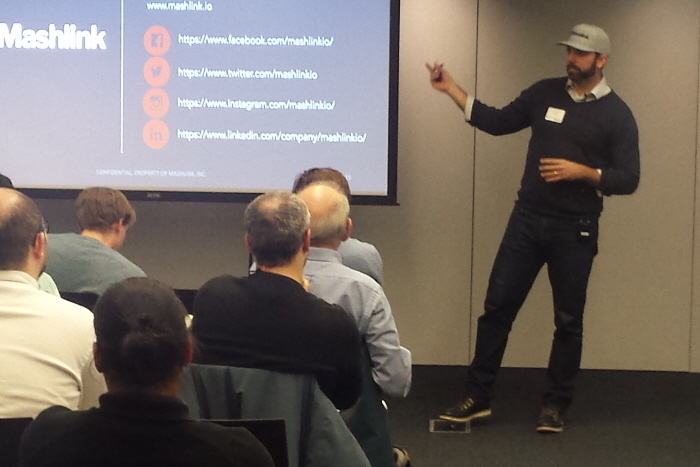 Below are brief summaries of the startups that were featured at MIN121. I based these overviews on information at the website, handouts, discussions, and presentations. If you’re interested in more information, please contact the company directly; they’ll be able to tell you more about their products and services. And, though I strive for accuracy, I’d trust their word over anything I write below. Armored Things, in its presentation, described itself as “Google maps, but for people.” Via analytics and an easy-to-follow dashboard program, Armored Things allows its clients to provide improved physical security by being aware of the location of people so they can respond accordingly. Responses could range from security-related to simply moving refreshment stand employees from less-busy parts of the stadium/campus to the areas showing a heavier concentration of people. Operation250 is an interactive educational program that helps provide students, teachers, and parents with the knowledge to navigate the dangers of being online. It educates them about the online and real-world risks as well as the methods to remain safe, notably from those espousing radical and violent ideologies. Fonative‘s Communications Platform as a Service (CPaaS) allows enterprise application providers to integrate calls and messaging into their service offerings. Designed for contact centers, the product is notable, as I discovered during the presentation, in part because it’s HIPAA secure and PCI compliant, making it a favored solution among regulated customers for whom such security and compliance are requirements. The company and its leadership have a long, deep history in the VoIP industry. DSPW was showcasing its latest product, the RCB-W24A-RHD32 WiFi recording system for electrophysiology research labs. I recall chatting with DSPW at MIN107 last year, but I ran out of time before getting back to talk with them again this year. This year’s product appears to be an advancement from last year’s; per its Mass Innovation Nights description, DSPW is currently taking orders and plans to ship in the summer of 2019. WritingAssistant is a product that instantly analyzes writing material for accuracy (grammar) and quality. The basic version is free, while for $1.99 per month additional features are unlocked. This looks like it could be a very cool AI-driven product offering. Nonspec makes affordable, adjustable prosthetic limbs for amputees around the world. Specifically showcased at MIN121, Nonspec’s Saarthi Limb is a vastly improved ankle. Awayr is an AI system that evaluates human-machine interaction. It is used by human machine interface (HMI) design teams in the automotive and defense industries. The AI builds a model user to predict human behavior in order to improve the HMI design. Oh, just watch the 40-second video for a better explanation. Evisort is an AI product designed for contract management. It uses algorithms to understand contract language and allows attorneys, financial professionals, and other management professionals to more easily find and manage their contracts. I think the “Using Evisort” tab on the company’s website does a nice job of describing how it might be used. The example I recall is of finding and staying on top of expiring contracts, though clearly that’s just one of the many uses for this product. CAIDE Systems, who I also recall from last year’s Lowell event, has a product that could require less than two minutes to detect and diagnose a stroke via the analysis of a CT scan image. It reduces human error and saves critical minutes in brain stroke detection. This is some cool, life-saving stuff here. In addition to the links I provided, you can find more information about the exhibiting companies by following this link and then clicking on the “Vote Here” tab of the MIN121 web page. Next month’s event, MIN122, is scheduled for April 9 at the Thelma D. Burns Building in Boston’s Greater Grove Hall neighborhood. It will feature startups with African and African American founders. If you can get to it, it should be another terrific showcase of innovative Massachusetts startups. If you enjoyed reading about Day One of SecureWorld Boston 2019, hopefully you’ll dig this Day Two coverage. A shorter day, ending a little earlier, Day Two again featured two interesting keynotes and several more presentations and panels. I patrolled the expo floor once again, conversing with some of the exhibitors I had run out of time to chat with on Day One. The second day again kicked off with a full house attending its morning keynote. 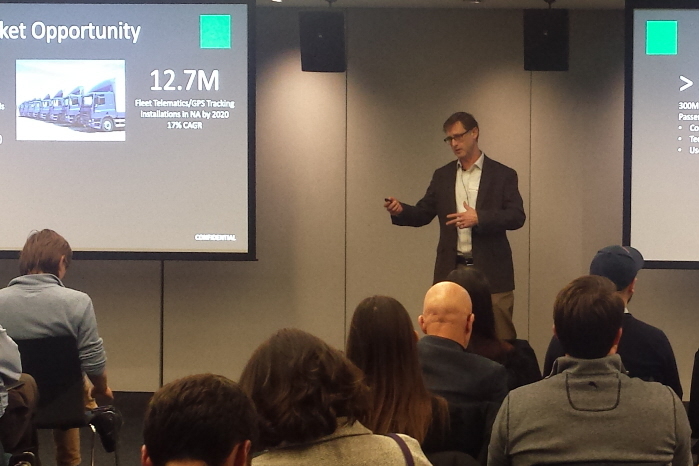 Cisco’s Mark Stanford delivered an interesting presentation covering cryptomining, cryptojacking, and cryptophishing. The topic was interesting, as he touched on some important points and made a few interesting comments, such as that criminals don’t want a cost of greater than 30%. To keep costs down, cryptominers use your machines (and computing power and energy); and that’s just one corporate cybersecurity issue around crypto. Cryptojackers, Stanford noted, don’t need to focus on bitcoin and can profit from targeting alternate currencies and exchanges. Stanford provided examples of pump and dump schemes in alternate currencies, including showing a graph of one that didn’t work out so well for the perpetrators. Another major point made was that we’re witnessing a restructuring, that cryptocurrency is at the center of criminal economy. It’s ideal for money laundering. And it’s worth noting that law enforcement’s focus on bitcoin, the current currency of choice, is likely to just shift the criminal focus to alternate currencies. The presentation closed with a few to-dos; a couple made it into my notes. First, watch for increases in CPU usage. And also watch your DNS logs. In all, this presentation was interesting enough for a tech generalist like myself to take away some high-level themes and understand some of the details, while it was specific enough for the front-liners in the audience. The lunchtime keynote from Radware’s Daniel Smith was a runthrough of 52 security threats accompanied by a deck of cards-themed slide deck. 13 types of threats (from Ace down to 2) by 4 examples of each type (clubs, spades, hearts, and diamonds). My notes for this presentation are sparse, but the presentation itself was entertaining, with examples of threats ranging from ransomware to botnets to DDoS to insider threats – the stories/examples were interesting and detailed, enough for a few articles by themselves. Smith did a great job of presenting interesting facts and stories, and he held the audience’s attention to the very end. 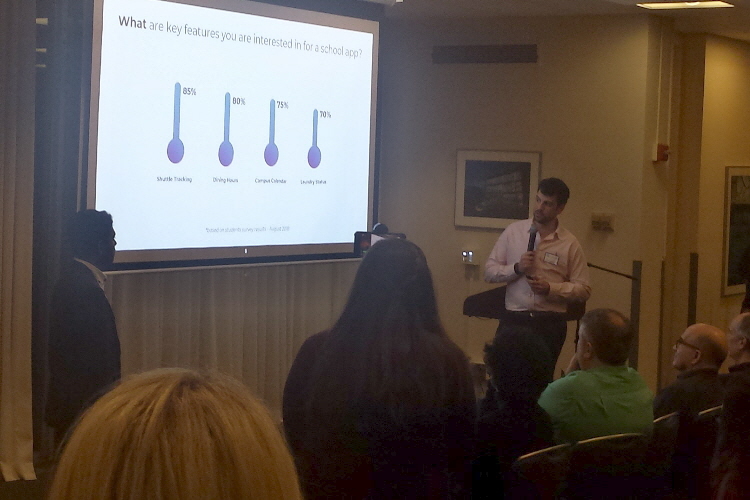 Beyond the keynotes, both days featured several breakout presentations and panel discussions. I spent a bit of time as part of an overflow crowd in the “Access Control – The End of the Password?” presentation where all forms of passwords and access difficulties and roads ahead were discussed. Other panel and presentation topics during Day Two included Zero Trust, GDPR, Recruiting and Retention, Endpoint Security, and more. 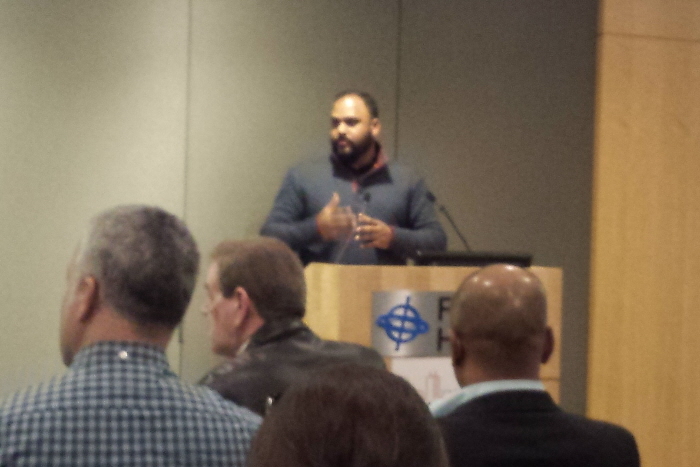 Across both days, the security topics covered were comprehensive. 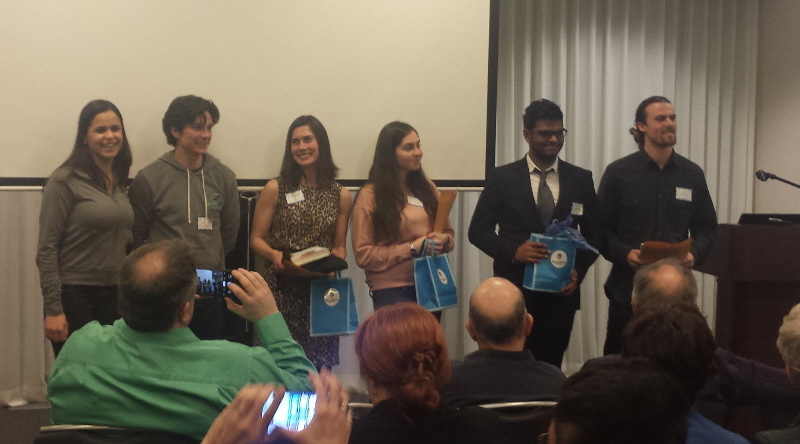 Prizes were handed out as the expo closed, before the final round of presentations and panels began. My personal takeaways were a broad overview of the security vendor landscape, a wealth of terms and acronyms that will allow me to converse more readily within the security landscape, and a desire to build on this knowledge at next year’s SecureWorld, if not sooner. Indeed, with the knowledge and contacts gained this year, in my role as an independent industry analyst, I’m considering working a cybersecurity market segment into my off-the-shelf analysis rotation plan later this year and perhaps pursuing a single-client project or two now that I’ve gained a sense of the industry sub-segments. Note that SecureWorld has a full slate of events across North America this year, with three events in April alone – SecureWorld Philadelphia on April 10th and 11th, and events in Houston and Toronto later this month. 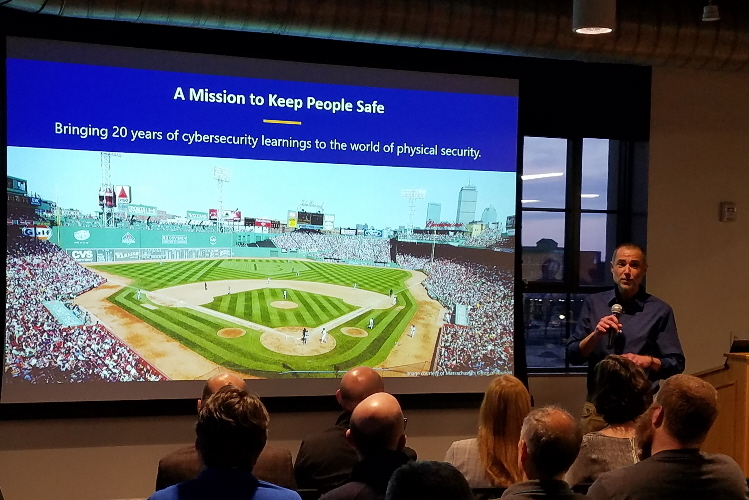 Last week, on March 27th and 28th, I attended SecureWorld’s 2019 Boston conference and expo, the 15th Annual SecureWorld Boston (#SWBOS19), as did more than 1,800 other tech and security industry professionals. It was a terrific opportunity to learn about the latest in cybersecurity and meet a lot of the industry’s top companies in one location. As a tech industry analyst (and blogger) with a generalist background, I hadn’t dug very deeply into security products, so this was a crash course for me. Certainly, most of the vendors’ names were familiar to me from my years covering the tech industry in general, aggregating some of my colleagues’ vendor analysis of these vendors, and assisting colleagues whose work was focused more consistently in the space, but I spent the better part of these two days getting brief introductions to each of the expo attendees’ products. My tired legs and hoarse voice at the end of the event would attest to the miles I logged while visiting at least 80% of the vendors’ booths. With my background, my coverage of last week’s event will be from a generalist’s perspective. In addition, since I spent a lot of time visiting booths, I didn’t get to most of the presentations. (I expect that to change next year, as I’ve now acquainted myself, if just slightly, with a bulk of the security industry’s key players; I’ll plan a lot more coverage of the presentations in 2020.) I don’t intend to touch upon my booth conversations, but I will share my notes on the presentations I attended. Though I missed the morning’s keynote while getting settled to Hynes and getting settled in, I heard impressive things about Intel’s Steve Brown’s “Going Digital: Building Your Strategic Roadmap for the Next Wave of Digital Transformation.” presentation, a speech I’m told touched upon a broad swath of digital transformation technologies. The Internet is not built for security. Security would have defeated/overwhelmed the original purpose of the Internet. To oversimplify so it will fit into an already-too-long single sentence, it originated as a way for researchers and academics to exchange information. Though funny cat pictures certainly followed soon enough (my observation, not Scheier’s), security was not a big initial concern. Retrofitting security is hard. Once the cat’s out of the bag, so to speak… and that’s all I have to say about cats tonight. Complexity: It’s easier to attack than it is to defend/secure. Relatively self-explanatory and obvious but definitely important to remember, and it has an impact on how we deploy resources. New vulnerability in the interconnection. I really wish I had taken more notes here, but you get the gist. Interconnection provides an opportunity for a security breach. Attacks are getting faster and better. Schneier referenced the democratization of attacks. Attacks developed by some can be used by others. I did a bit of online searching to find a better way to explain this, and perhaps the best words are Schneier’s own, from this March 2015 blog post on his website. Computers fail differently. When mechanical equipment fails, parts wear out. A maintenance schedule can be set up. Or, at the very least, mechanical failure can be predictable and repairs can be made to individual components or machines as they fail. When cybersecurity fails, everything breaks and needs to be fixed immediately. Vulnerabilities discovered for one network can be exploited everywhere. At the moment they’re discovered. And so the vulnerabilities must be repaired everywhere. The only possible outcome of increasing security breaches, as Schneier sees it, is government involvement. Regulation is coming in the future. Maybe soon. The question is whether or not it will be smart government involvement or stupid government involvement. We’re seeing it in Europe already. In the U.S., it’s happening at the state level, but Congress will do something at some point. And it behooves the security community to get involved and to court “smart” government involvement before “stupid” involvement is thrust upon the industry. To this end, Schneier directs the audience to Public Interest Tech: https://public-interest-tech.com/. An interesting, thoughtful speech, this keynote was a must-attend. The rest of my Day One was spent visiting vendors’ booths, learning about cybersecurity through the vendors’ products. Next year, with SecureWorld Boston 2019 under my belt, I plan to attend more of the interesting presentations that ran concurrently with the exhibits. And, in the evening, many attendees, myself included, ambled over to the networking reception before calling it a night and preparing for Day Two. 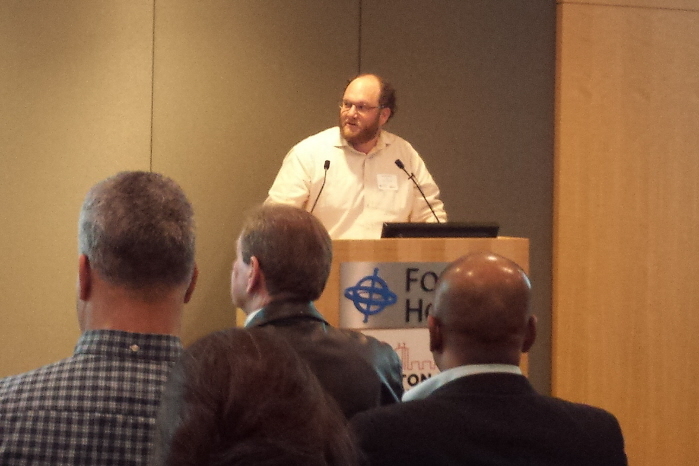 I always enjoy attending Boston New Technology’s startup showcases. 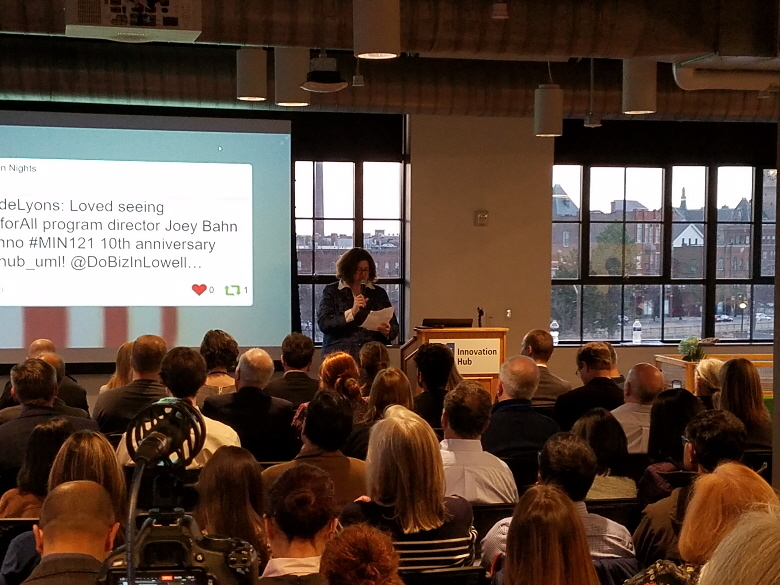 A not-for-profit, community-supported network of 24,000 business professionals, Boston New Technology’s mission is to help Boston’s local technology startups launch and grow. March’s showcase, BNT99, featured local FinTech and Blockchain startups. 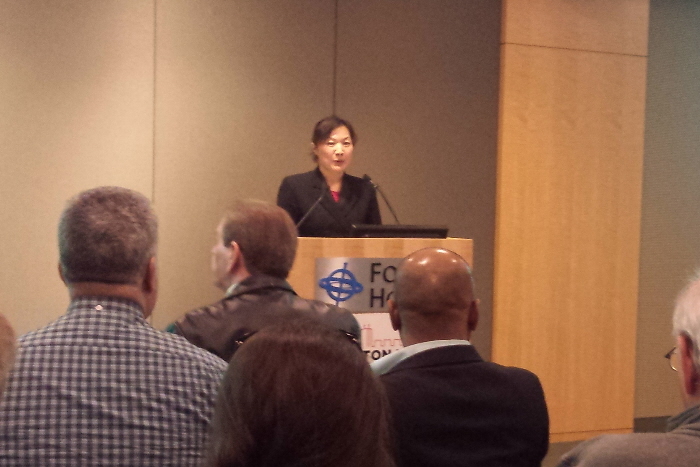 It was hosted at Foley Hoag in Boston’s Seaport district. 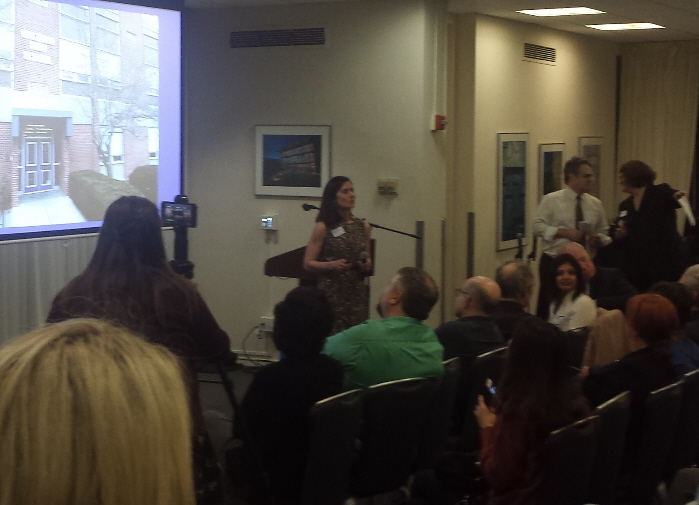 After an hour of food, drinks, and networking, the presentation portion of the evening began. As usual, Chris Requena led with a brief introduction, followed by quick 30-second introductions/pitches by the sponsors who were in attendance. 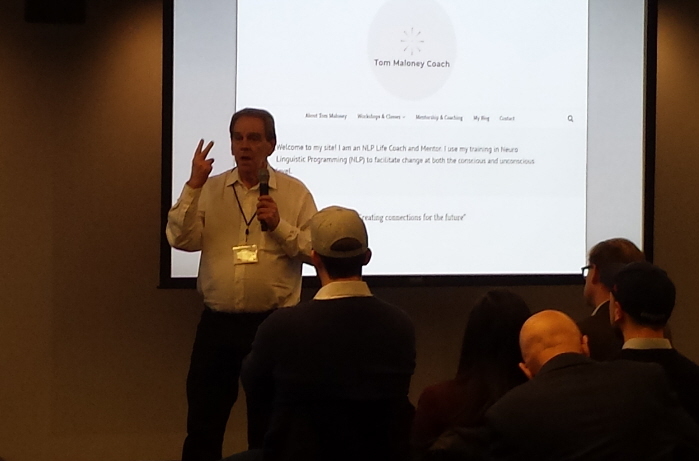 This evening, we heard from the following sponsors: Foley Hoag, Ink’d Stores, Chuck Goldstone: Strategies and Stories, Your Profile Video, and Tom Maloney, Coach: Climbing the Success Ladder. The quick sponsor introductions were followed by the meat of the program, five-minute presentations (plus five minute Q&A time) by each of the evening’s eight showcasing startups. As always, my notes are brief – perhaps moreso than usual, as a few days passed before I found time to summarize the event – so I’d encourage you to follow the links if you seek any more information, and then contact the companies directly if you have a particular interest. Andes Wealth showcased PrecisionRisk™, its tool to help financial advisors and investors identify investors’ risk and behavior traits and manage accordingly. This tool allows advisors to create detailed investor profiles and manage their investments more individually with greater ease. If this sounds interesting, after starting with the website, I’d also recommend viewing this YouTube promotional video to find additional information. 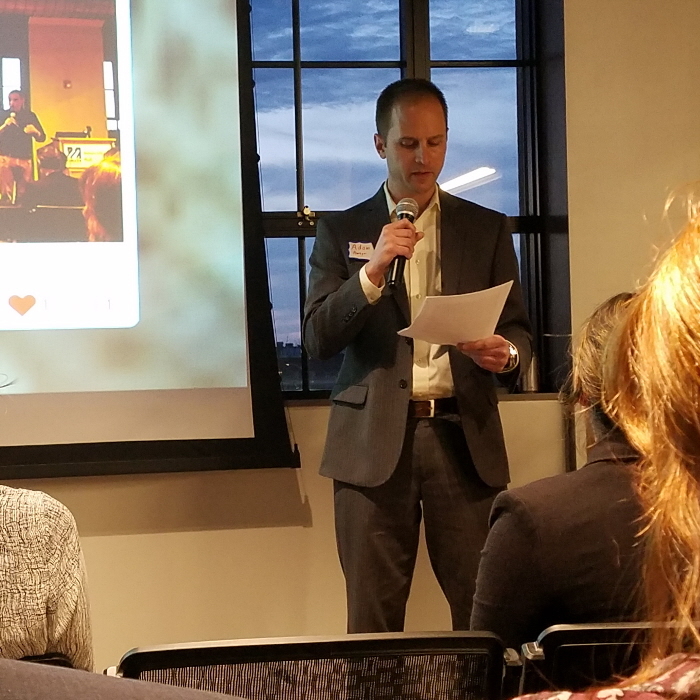 Coalesce, per its BNT event description, “uses AI to automate compliance and fraud monitoring for financial services.” A couple highlights I noted from the presentation are that it can be used to automate repetitive, tedious work and that, via natural language processing, one of the things it can excel at is identifying negative news reporting. MedTrace, you realize if you follow the link on the BNT99 event page, is just one of the supply chain tracing solutions being pursued by the team per the Traceability Site website, whose site lists solutions for many other industry verticals, as well. As showcased at the event, MedTrace uses blockchain to provide end-to-end visibility, tracing legitimate medication packages and identifying counterfeit medication when it attempts to enter the supply chain. TeraBiz stood out after the evening’s earlier presentations due to its traditional financial service technology platform – it’s a SaaS product, not blockchain. It’s a SaaS-based business management software platform whose functionality and comprehensiveness position it as a solid competitor to industry giants like SAP Ariba, Coupa, Oracle, and others. Eden GeoPower showcased its strategy for utilizing the high energy demands of cryptocurrency mining to finance the development and construction of renewable geothermal energy projects. Notably, a highlight and central point of the evening’s presentation was how a power plant’s cost can be paid for by the profit of mining cryptocurrency. I’m looking forward to digging deeper into this startup. Esprezzo is billed in the BNT99 literature as “the developer’s bridge to the blockchain.” It’s a middleware platform that makes it easier for developers to include blockchain in their work. I’d urge you to attend an Esprezzo presentation, and you’ll find it quite easy to understand. Knox is a service provider that helps homeowners when turn their soon-to-be-former home into a passive investment by streamlining the process of converting a primary residence to an income property, finding good tenants, and managing the property. Obviously, it doesn’t just apply to turning your house into an investment property when you move, but that’s the idea that spawned Knox, and the company’s structure is designed to make that particular circumstance easy. In the end, though, this is a property management firm that handles individual owners’ rentals. Notably, applying to be in Knox’s program doesn’t mean automatic acceptance. The company intends to ensure its success by being selective. Next month’s BNT startup showcase, BNT100, is scheduled for April 23rd, and it will feature AI and IoT startups. Check out BNT’s upcoming event calendar here at its website for other events, too. 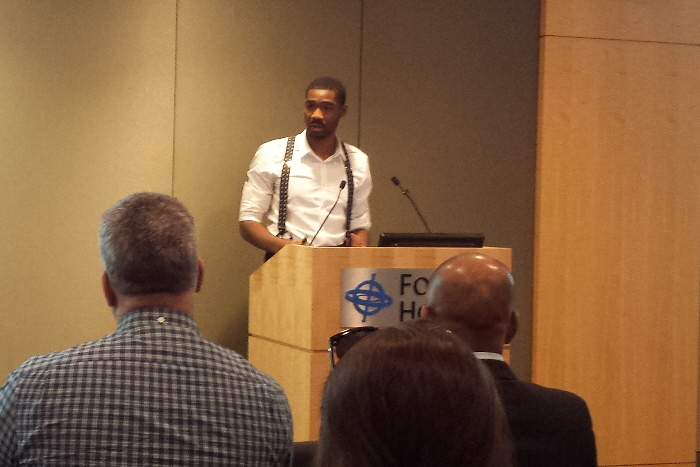 For example, there’s an April 17th event on tap featuring two presentations: “Ten Things Startups Need to Know about Intellectual Property” presented by Moses Heyward, Of Counsel, Patent Attorney, Fish & Richardson P.C. and “How To Protect Your Company Against Patent Troll Litigation” presented by Ken Seddon, Chief Executive Officer at LOT Network. Though I’ll probably miss the April 17th event, I do hope to attend the April 23rd showcase, schedule permitting. Hope to see you there. 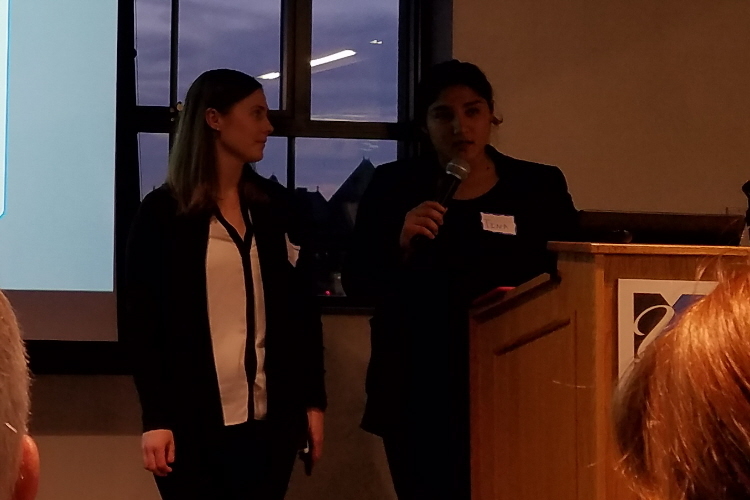 On Thursday, March 14th, Mass Innovation Nights returned to Brandeis University, one year to the day of its last visit to this Waltham university campus. 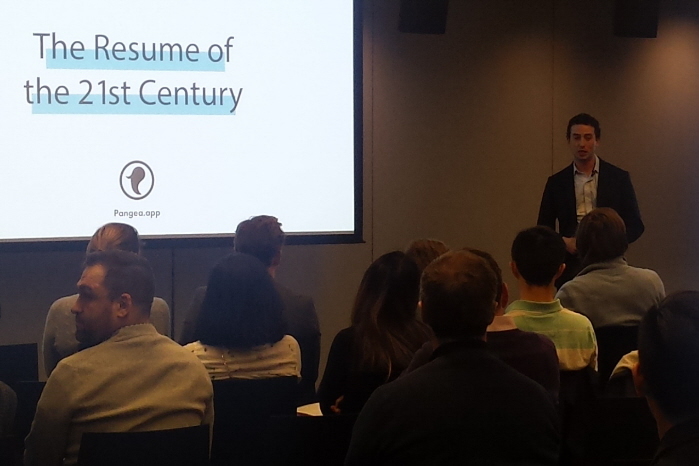 Every month, Mass Innovation Nights features startups from around Massachusetts. On this particular night, the theme was connected to the location, as all of the startups had a Brandeis connection. 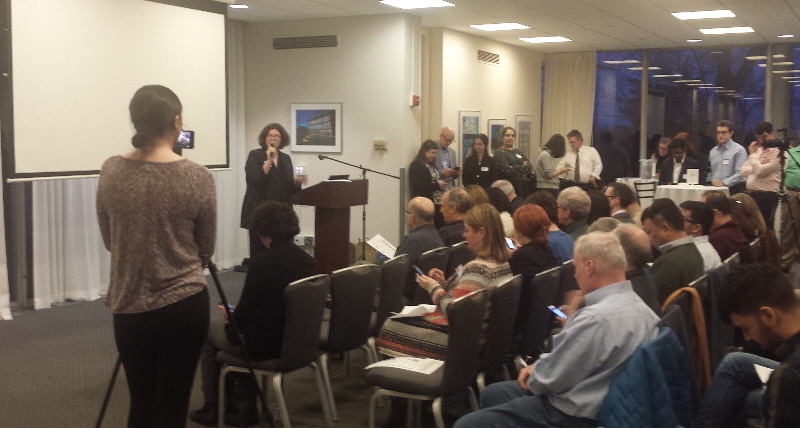 Mass Innovation Nights always assembles a terrific event. It’s a little less tech-heavy than the other events I cover, since its focus isn’t specifically or solely on tech companies, but I’m always pleased to support local businesses and to shine a light on local entrepreneurs, tech or otherwise. The event always kicks off with an hour of networking, allowing attendees to talk with the exhibiting companies and learn more about them. It’s during this time the attendees vote on their favorite showcasing startups, with the top four vote-getters receiving prizes. This isn’t the only voting taking place in relation to Mass Innovation Nights (MIN); prior to the event, voting occurs on the MIN website, and the top four pre-event vote-getters are selected to give presentations at the event. The presentation phase of the evening kicks off with brief presentations by the “Expert Corner” experts, followed by presentations from the four pre-event vote winnings startups. The evening’s “experts” were Ben Gomes-Casseres, a professor at the Brandeis International Business School; Ian Roy of the Brandeis University MakerLab; Nazita Gamini and Rong Zhou, Brandeis Licensing Associates representing the National Science Foundation I-Corps (Innovation Corps) National Teams program; Jordana Goodman of Danielson Legal LLC; and Christina Inge of Thoughtlight, experienced with leading digital strategy and managing complex mar-tech projects. 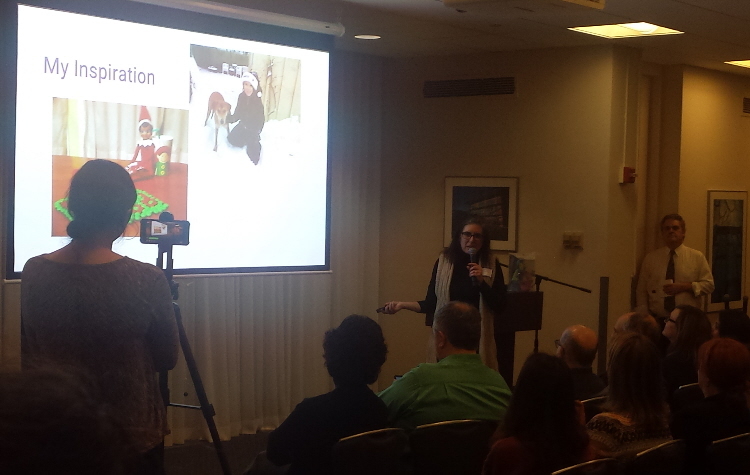 The presenting startups were GreenChoice, Flora on the Menorah, Branda, and SciLinkR. At-event voting winners were Roselle Cosmetics, SciLinkR, GreenLabs, and GreenChoice. 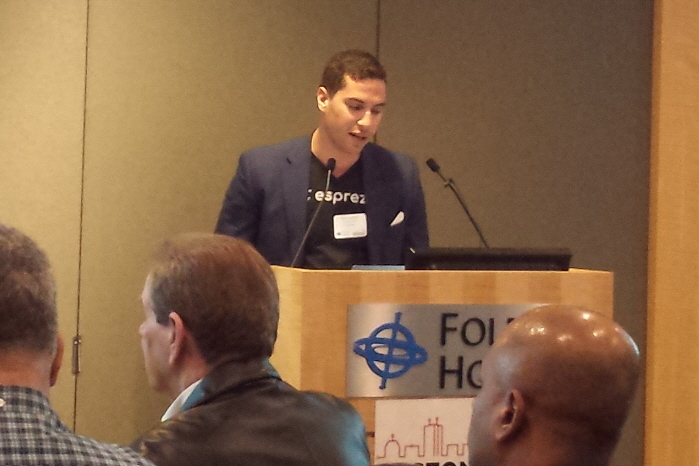 Following are brief overviews of the startups featured at MIN 120. As always, these are high-level overviews based on the website, handouts, discussions, and presentations. If you’re interested, please dig in deeper on your own in case I’ve missed or misunderstood something important. I include links for you; their websites are a good place to start your deeper dive. SciLinkR is a website that connects educators and scientists nationwide, an ideal way to help put scientists in the classroom or to arrange field trips so students can see scientists at work. Keysie Key Wallets are a new way to help keys be easy to find, multi-functioning as mini-wallets as well. At the booth, Keysie was also showcasing a similar product designed for hockey families, specifically to keep mouthguards from resting at the bottom of stinky hockey bags between games. Branda is a particularly interesting showcased product. Utilizing a variety of information sources, this app allows Brandeis students to connect with campus services and information, ranging from obvious things like aggregating news and the hours for places and events on campus to more interesting things like tracking the bus routes to anticipate arrival times or identifying how many (and which) washing machines are available and how much time is left on them. GreenLabs solves a problem likely only known to people who work at research facilities, where pipette tip boxes are often tossed as medical waste when recycled with standard recycling and, therefore, though clean, are difficult to recycle. GreenLabs Recycling Service solves that problem by collecting and recycling these plastic boxes. Flora on the Menorah is Chanukah’s answer to Elf on the Shelf. It’s a book, plush menorah with removable candles, and plush flower, “Flora.” Adorable. 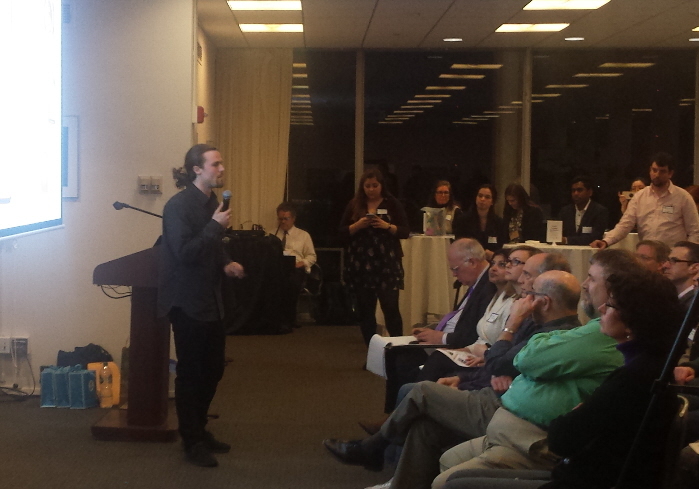 GreenChoice also appeared at last year’s Brandeis-themed Mass Innovation Nights event, MIN108. The GreenChoice app went live on the very day of MIN120, so it was a big day for this local green startup favorite. GreenChoice is a platform that allows people to grocery shop in line with their health, ethics, and sustainability preferences, also containing pricing information, too. Roselle Cosmetics, showcasing both lipstick and chapstick at MIN120, is a company that makes organic, non-toxic, eco-friendly lip products at a reasonable cost. I’m far from an expert in this space, but it certainly sounds like a welcome addition that serves a potentially profitable market niche. 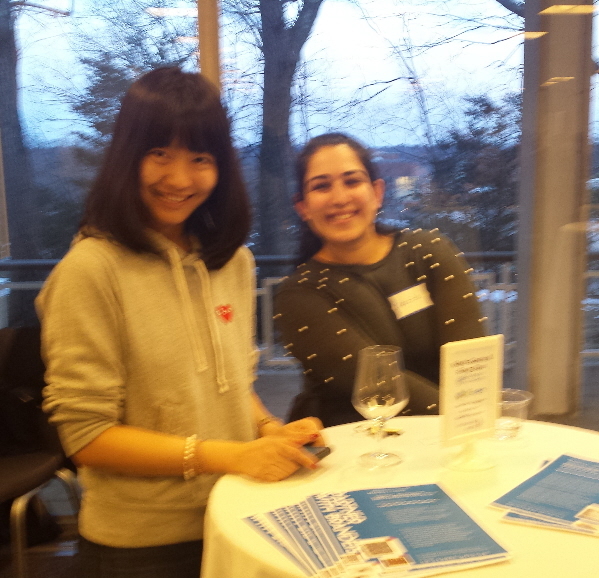 The Brandeis MakerLab and Brandeis Innovation also had booths at the evening’s event. 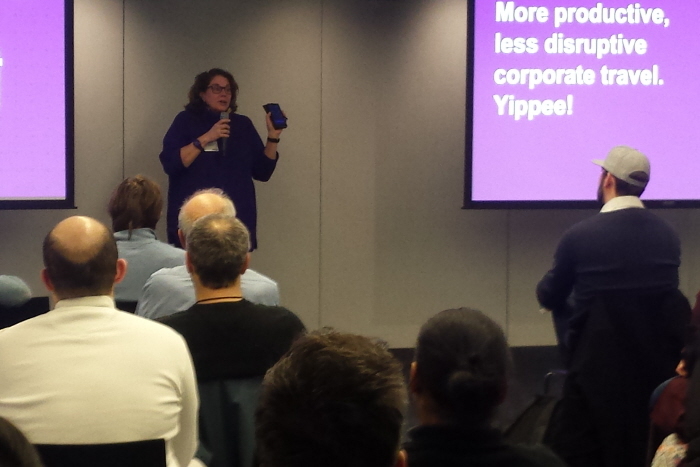 Thus concludes another Mass Innovation Nights event summary. In addition to the links I provided, you can find company information by following this link and then clicking on the “Vote Here” tab of the MIN 120 web page. 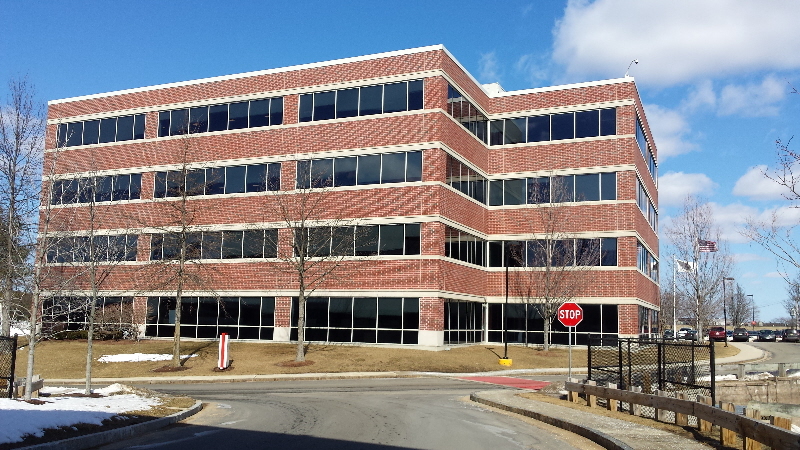 Next month’s event, MIN121, is scheduled for April 11 at the UMass Lowell Innovation Hub in Lowell, MA. Barring an unexpected scheduling conflict, I’ll be there. 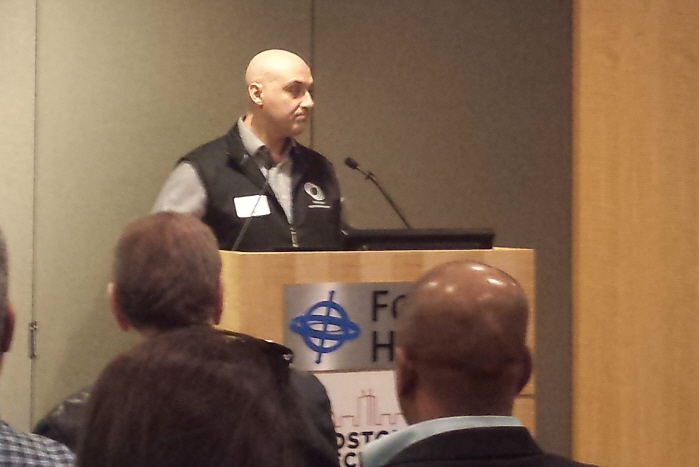 If you can get to it, it should be another terrific showcase of innovation Massachusetts startups. 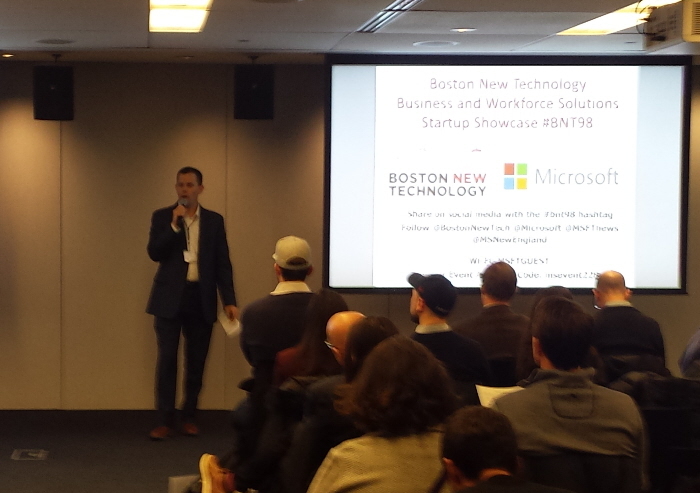 For February, Boston New Technology’s startup showcase, BNT #98, was Business and Workforce Technology Solutions themed. 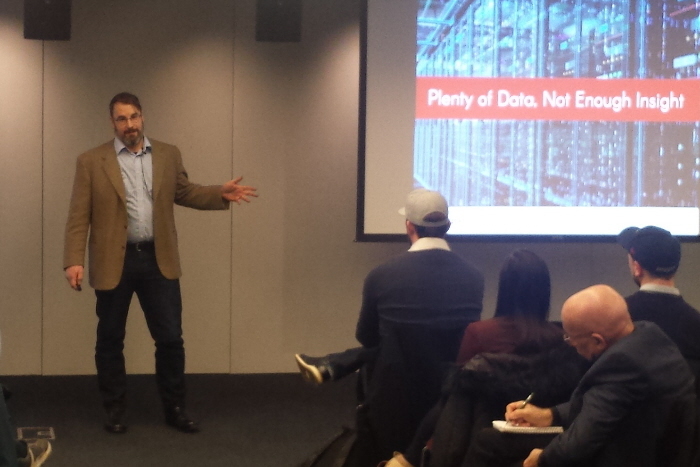 This month’s event was held at the Microsoft New England Research & Development (NERD) Center in Cambridge, MA. I hadn’t been to the NERD before, so I was also looking forward to seeing the building in addition to learning about the evening’s startups. As usual, the event began with pizza and salad… and plenty of networking. And, of course, tables where attendees could chat with a few of BNT’s sponsors and some of the evening’s presenting companies. Next up were the presentations. 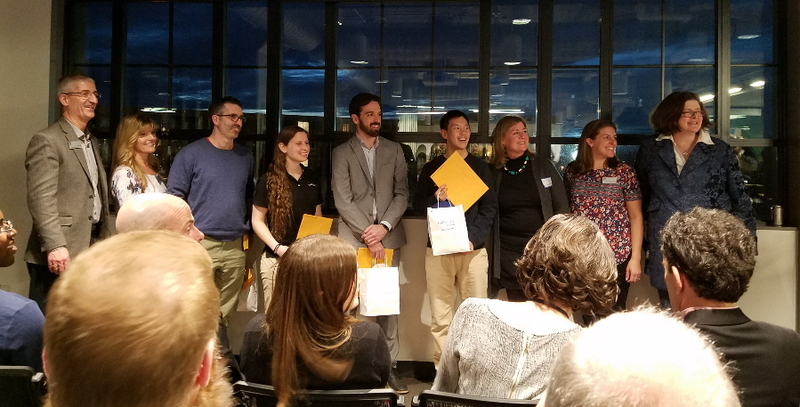 After a welcome and brief introductions to BNT’s sponsors in attendance, the evening’s seven showcasing tech companies presented. As always, my notes are merely brief impressions. If you are interested in learning more about any of the companies I mention, please click through to their websites and contact them directly with any questions. Lola.com is a business travel management platform that’s been making lots of news as a high-growth, high-profile new company in Boston, so I was really looking forward to this presentation. It’s billed as quick, dynamic and flexible, a way to enable employees to book corporate travel while adhering to corporate policy, presumably with fewer hassles and less stress. It’s geared toward companies small enough that their travel is unmanaged and their employees self-book, typically from maybe 20 up to a couple/few hundred employees. 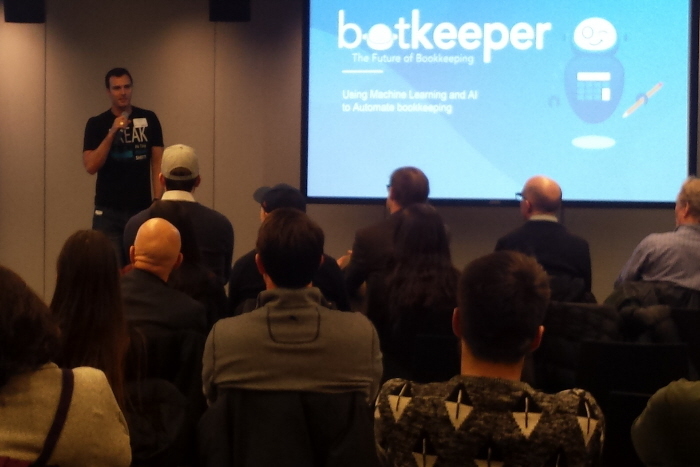 Botkeeper is an automated bookkeeping service that can help automate (and reduce the likelihood of errors) across a broad range of related business functions. The company mentions that its service provides dashboards, billpay, reporting, payroll, file and receipt management, and data integrations. About 1,300 companies use botkeeper, and about 100 accounting firms white-label it. Live Undistracted‘s Phone Safe System allows companies to enforce their phone policies within their commercial fleets – to cut out the phone as a source of distracted driving – without infringing on drivers’ privacy. The Phone Safe System helps fleets control their drivers’ use of phones while in company vehicles without infringing on drivers’ rights (to drive as responsibly or irresponsibly as they choose) in their own vehicles. Host Events, LLC is an on-demand bartending service that allows event hosts to find and hire insured, fully-vetted bartenders, with features like booking, pre-event chatting, and paying through the app. Mashlink is a content creation app that allows the user to add commentary tracks to videos in real time. Mashlink is currently a consumer app but is looking to the future by also focusing on its usefulness as a corporate app, as well; the company is currently selling B2C while building an enterprise sales team to sell B2B. Pangea is an app designed to help college students freelance (and to help businesses find college students to hire as freelancers). While there are freelancing websites and apps out there, Pangea wants to occupy the underserved college student subcategory of the freelancer space by targeting itself directly toward college students and creating features that would appeal specifically to that market and to companies that want to hire from that cohort. Squark has a product that allows codeless predictive analytics. Examples of its applications mentioned during the presentation included a model to predict churn and lead qualification. 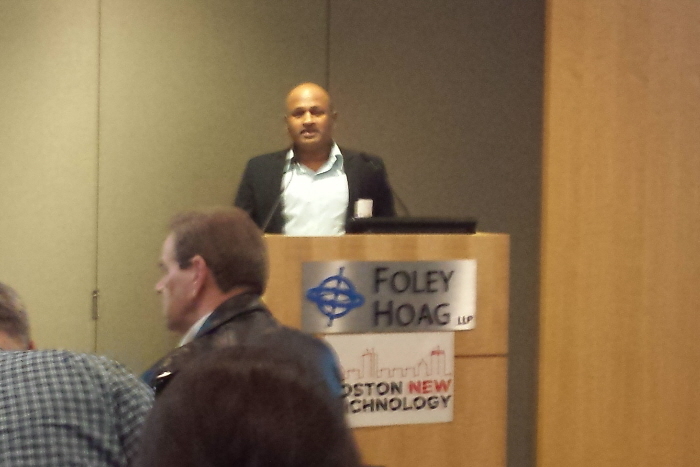 I always dig the monthly showcases put on by Boston New Technology as well as its other events. For example, there was a Startup Founder talk on February 21st, featuring David Chang of Gradifi, that I wish I had been able to find time to attend. As billed on BNT’s new website, “Boston New Technology is a not-for-profit, community-supported startup, technology and business network of 24k business professionals, whose mission is to help local businesses launch and grow, especially startups!” Yeah, that’s an apt description. You can peruse BNT’s upcoming event calendar here at its website. Next months’ BNT startup showcase is already listed, scheduled for March 18th and set to feature FinTech and Blockchain technology demos. Unless I get an unexpected schedule conflict (or the weather gets in the way, since March is still a potential snow month, and I live in the suburbs so I have to travel a bit to get into the city), I’ll see you there.